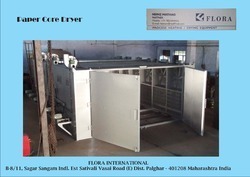 Our product range includes a wide range of paper core dryer and poy core dryer. 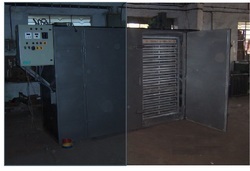 Our reputation in the market is largely attributable to our precisely designed and manufactured Paper Core Dryer. Our offered Papercore dryer is available in a variety of sizes,suitable for Paper Cores/ POY Paper Tube/DTY Paper Tubes.The offered dryer is precisely designed at our highly advanced manufacturing unit following industry defined guidelines. The offered dryer can also be availed from us at the industry leading prices. Steam heated paper core dryer. Our reputation in the market is largely attributable to our precisely designed and manufactured Paper Core Dryer. Our offered core dryer is available in a variety of sizes, shapes and is used in pharmaceutical, food and chemical industry. 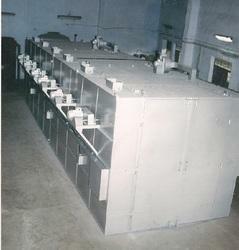 The offered dryer is precisely designed at our highly advanced manufacturing unit following industry defined guidelines. The offered dryer can also be availed from us at the industry leading prices. We have developed POY Core Dryer. The machine having Compact-Dryer Chambers, Cooling Section & Single Roller Veneer Feeding Decks,fitted with Aluminium Propellers, Heating Coils, Double Jet Nozzles for top & bottom of each deck throughout the length of the dryer and complete with Motors, Starters, Dynodrive (Infinitely Variable Speed Unit), Digital Temperature Indicator, Chain and Gear Box.